Citi Prestige® Card: Is It Worth The Annual Fee? 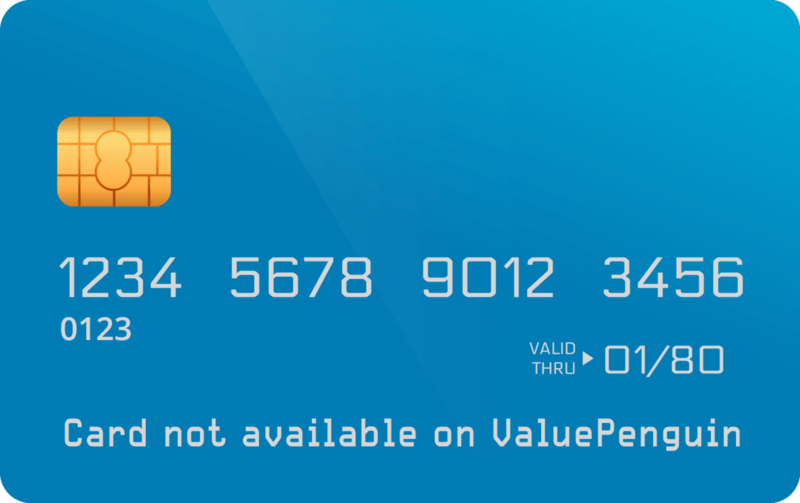 Despite its high annual fee of $450, this card holds a lot of value for consumers who can fully take advantage of its perks. With a $450 annual fee, the Citi Prestige® Card is one of the most expensive credit cards on the market. But despite its hefty fee, we believe the Citi Prestige® Card is a worthwhile consideration for frequent travelers who will take advantage of its airport lounge access or complimentary hotel stays. With a great rewards rate (up to 5 points per dollar spent), the card is competitive with other popular choices in this category, such as The Platinum Card® from American Express. For a more detailed look at the benefits, read our full Citi Prestige® Card review below. Useful features for the frequent flyer, including a $250 travel credit and a Global Entry or TSA Precheck voucher. Complimentary nights on hotel stays. A rewards rate of up to 5%. You'll pay a $450 annual fee. ThankYou® Points aren't as versatile as other rewards programs. Citi Prestige® Card Review: Is It Worth the $450 Annual Fee? If you travel a lot, the Citi Prestige® Card could earn you some pretty fantastic luxury travel benefits, such as discounts on flights and free hotel nights. Although the $450 annual fee is relatively high, it will pay for itself if you take advantage of the benefits. The card offers a travel credit of up to $250 on eligible purchases—including airline tickets, taxis, hotels, car rentals, parking, tolls and more—as well as airport lounge access through the American Airlines Admirals Club and Priority Pass. These two benefits alone are worth about $600. The Citi Prestige® Card is also well-equipped for travel abroad, since it has no foreign transaction fees (saving you about 3% on every purchase made abroad) and an EMV chip for improved security. On top of these benefits, we think the Citi Prestige® Card earns nice rewards rates on purchases. Cardholders can earn 5 points per dollar spent on air travel or at restaurants and 3 points per dollar spent on cruise lines and hotels. Until Aug. 31, 2019, you can also earn 2 points for every dollar spent on entertainment. But after that date, the entertainment rewards rate will drop to a subpar 1 point per dollar spent—the same rewards rate applied to all other general purchases. The biggest downside, in our opinion, is the relatively limited value of ThankYou® Points, which is Citi's rewards program. ThankYou® Points are generally not as good as some of the other competing programs, like Chase Ultimate Rewards, because the points-transfer program isn't as robust. This makes it hard to combine your ThankYou® Points with other loyalty programs. Membership Rewards points, which can be earned with The Platinum Card® from American Express, can be transferred to 21 other loyalty programs (versus just one with the Citi Prestige® Card). What Are the Citi Prestige® Card Benefits and Features? The Citi Prestige® Card benefits are focused on travel and ongoing spending. The travel benefits offer upfront perks just for being a cardmember—these are tailored toward consumers who are frequent travelers—and the spending benefits offer ongoing value from making purchases throughout the year. Earn 50,000 bonus points after spending $4,000 within 3 months of account opening. Coming soon: cellphone protection Beginning May 1, 2019, your Citi Prestige® Card will also provide support for damage or theft to your cellphone when you pay your monthly cellular bill with your card. You'll earn 5 ThankYou® Points for every dollar spent on air travel and restaurants, plus 3 points per dollar spent on hotels and cruise lines using the Citi Prestige® Card. And until Aug. 31, 2019, entertainment purchases will get you 2 points per dollar spent. All other purchases earn 1 point per dollar. The Citi Prestige® Card's "entertainment" category is defined as purchases at movie theaters, amusement parks, tourist attractions, record stores and video rental stores. Mastercard uses codes to classify merchants by their business type, so these will determine whether your purchase falls under this particular bonus category. Generally, the dollar value of a single ThankYou® Point ranges from half a cent to 1 cent, depending on how you redeem it. We determined this range based on the amount of cash you'll receive if you redeem your points for cash back (the lowest value) and the value you'll receive if you redeem your points for flights or gift cards (the highest value). And because you can transfer points to loyalty partners, you may be able to extend the value of each point even further. We've listed Citi ThankYou® redemption options in the table below, or you can read our detailed analysis on the rewards program here. Sign-up bonus: New Citi Prestige® Card cardholders will have the opportunity to earn a sign-up bonus in addition to their ongoing rewards. Formerly, new cardholders could earn a 50,000-point sign-up bonus after making $3,000 in purchases within three months of account opening. Presently, the Citi Prestige® Card isn't accepting new accounts, but it should re-open in late January. We don't yet know what the new sign-up bonus will be, but it will likely be comparable to the previous bonus amount. Citi Prestige® Cardholders have the ability to transfer points to participating loyalty programs. These transfers must be made in increments of 1,000 points (meaning you cannot transfer any points until you have accumulated at least 1,000 ThankYou® Points). This can really maximize your point potential beyond 1.25 cents per point. Air travel: These benefits can really make the Citi Prestige® Card $450 annual fee worth it. Cardmembers will receive $250 as an annual travel credit, which can be applied toward things like airline tickets, extra baggage fees, in-flight meals, taxi fares, hotel reservations, car rentals, parking fees and more. Citi Prestige® Card holders are also entitled to access various airport lounges, including the American Airlines Admirals Club (50 lounges worldwide) and Priority Pass™ Select (700 lounges worldwide). This benefit is worth a combined value of approximately $600 and is a huge stress reliever for frequent travelers or anybody with a long layover in their future. Travelers who fly with American Airlines or US Airways can get even more value out of the Citi Prestige® Card: their ThankYou® Points can be worth more when redeemed for AA or US Airways flights through the Citi ThankYou® Travel Center. Citi estimates that 50,000 ThankYou® Points can be used for an $800 flight, a value of 1.6 cents per point. The Citi Prestige® Card also offers a $100 voucher toward TSA Precheck or Global Entry, if you apply and pay for TSA Precheck or Global Entry with your Citi Prestige® Card. TSA Precheck and Global Entry are both huge time savers for people who frequently travel and don't want to deal with long security lines. Hotels: If you book four or more consecutive nights at any hotel and pay using your Citi Prestige® Card, your fourth night is complimentary. If you travel a lot and need to stay at a hotel for at least four nights, twice a year, we believe this benefit should make the card's annual fee worth it. To qualify for this benefit, however, you must make your hotel reservation through the Citi Prestige® Concierge portal. Up until Aug. 31, there are no caps on this benefit, which means you can use it as many times as you'd like. But beginning in September, you'll be limited to two redemptions per year. Any redemptions you make before Sept. 1 are not applied to your 2019 cap. Recently, Citi announced a number of changes to the Citi Prestige® Card—some good and some bad—that will be rolling out over the next several months. In addition to these bonus increases, you'll still get the standard 3x points on hotels, 2x on entertainment (through September) and 1x on all other purchases. Citi is also expanding its $250 travel credit. Formerly, the credit only applied to air travel, but now the credit can apply to travel expenses in general, including things like taxis, hotels, car rentals, tolls and more. Unfortunately, not all changes can be good. Citi formerly offered a relationship bonus to Citigold and Private Bank clients, but that bonus has been discontinued. If you're already a Citi Prestige® Cardholder, you'll receive your final bonus during your 2019 anniversary billing cycle. Introducing cellphone protection: Beginning May 1, the Citi Prestige® Card will begin providing cellphone protection to cardholders who use the Citi Prestige® Card to pay for their monthly cellular phone bill. This coverage could help cover the cost if your mobile phone is stolen or damaged. Annual fee increase: Citi will increase its annual fee for the Citi Prestige® Card to $495, which is a $45 increase. If you're still interested in the Citi Prestige® Card despite the changes, you should sign up before September to lock in this lower rate for the first year. Complimentary fourth-night restrictions: Beginning in September, you'll only be able to redeem a complimentary fourth night at hotels twice per year. Any redemptions you make before that date won't count toward your 2019 limit. Additionally, you'll only be able to take advantage of this perk if you book your reservation through thankyou.com or by calling Citi directly, so you'll have to weigh the benefit of the fourth free night against earning points through other loyalty programs you would otherwise use to book your reservation. No more 25% bonus for air travel redemptions: Currently, if you redeem your ThankYou® Points for air travel, you can receive a 25% bonus—so a 10,000-point redemption would be worth $125. But starting in September, that extra bump in value is going away. 1x points on entertainment: Currently, you'll receive 2 points for every dollar spent on entertainment, but beginning in September, entertainment charges will be treated like all general charges and receive just 1 point. How Does the Citi Prestige® Card Compare to Other Credit Cards? Before committing to paying a $450 annual fee, it's best to understand all your options—the Citi Prestige® Card is no small investment. Below, we describe how the card fares against some of its competitors. You can also use our tool to see which cards will provide you with the highest rewards based on your personal habits. The Platinum Card® from American Express has a slightly more expensive annual fee of $550 and differs from the Citi Prestige® Card in a few key ways. 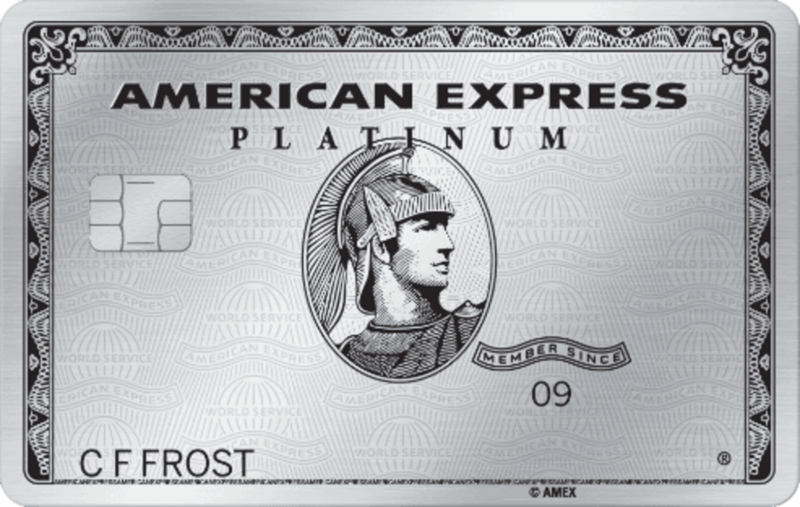 The Platinum Card® from American Express is a charge card, which means cardholders must pay off the balance every month and have no preset spending limit. That means cardholders have a little bit more freedom to make large purchases without having to worry much about a credit limit. The Citi Prestige® Card, however, offers superior rewards on spending and works better as an everyday credit card. 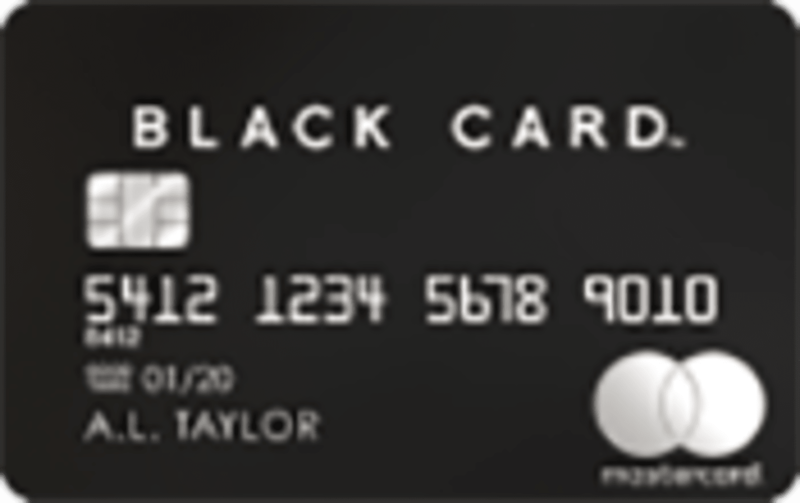 The Mastercard® Black Card™ is another luxury card with a high annual fee: $495. Most consumers will be better off with the Citi Prestige® Card over the Mastercard® Black Card™ for a number of reasons aside from the price difference. First, the Mastercard® Black Card™ offers no way of transferring its rewards points to other loyalty programs, which limits their value. Second, the point-earning potential on the Mastercard® Black Card™ is also significantly worse than the Citi Prestige® Card. Mastercard® Black Card™ cardholders earn just 1 point on every dollar spent using the card. Finally, the Mastercard® Black Card™ has a limited lounge access benefit. Mastercard® Black Card™ cardholders can access the Lounge Club, but the program is not nearly as extensive as the Citi Prestige® Card's Priority Pass network. The Chase Sapphire Preferred® Card is one of our favorite travel rewards credit cards available. Unlike the Citi Prestige® Card, the Chase Sapphire Preferred® Card doesn't offer any luxury travel perks such as lounge access. But Chase Sapphire Preferred® Card holders do earn Chase Ultimate Rewards points, which usually have more value than ThankYou® Points for travelers. If you don't plan on using the Citi Prestige® Card's lounge access or the free hotel night benefit, we recommend going with the Chase Sapphire Preferred® Card. 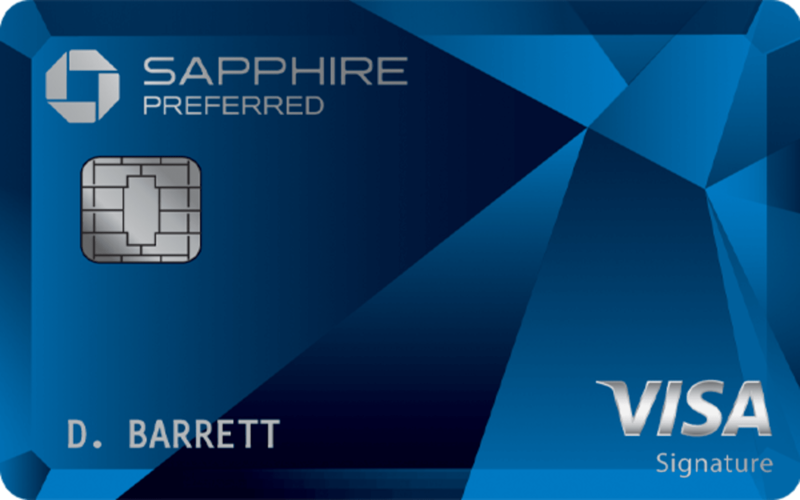 The Chase Sapphire Preferred® Card has a $95 annual fee. Enter your typical spending patterns into the tool below to see the rewards you can get out of various credit cards.